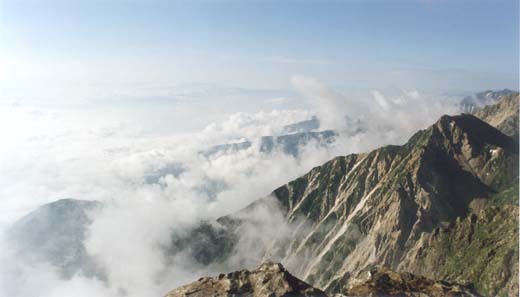 In central Japan, there exists a mountain range called Japan Alps. It is broadly divided into the North and the South Japan Alps. 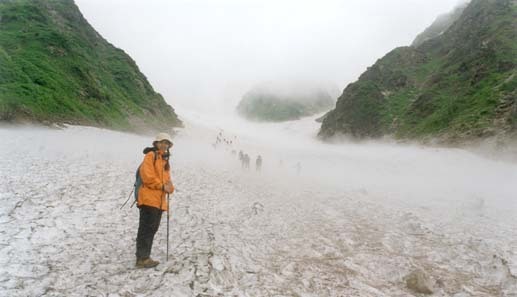 North Japan Alps is more easily accessible because of the better transport network and the better availability of accommodation huts. 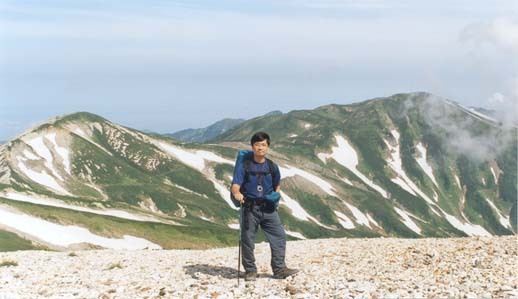 We went to a very famous mountain in North Japan Alps- the Hakuba Dake. 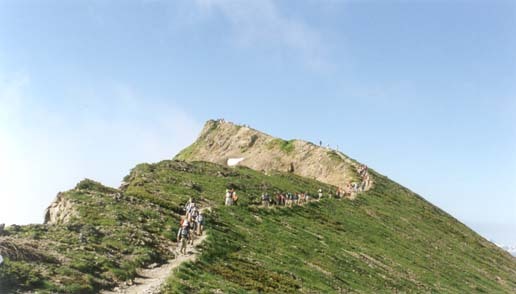 It is a nice mountain with a huge number of Japanese hikers visiting there. We spend two days for our trip, with the middle night staying in the Hakuba Mountain House which is the biggest mountain house in Japan. 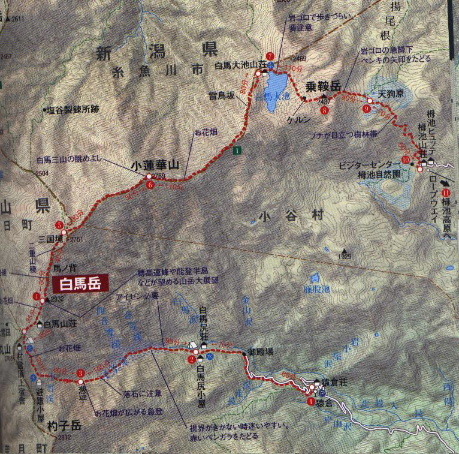 The first 1.5-hour walk was a simple mountain walk. We met some accommodations before encountering the Big Ice River. 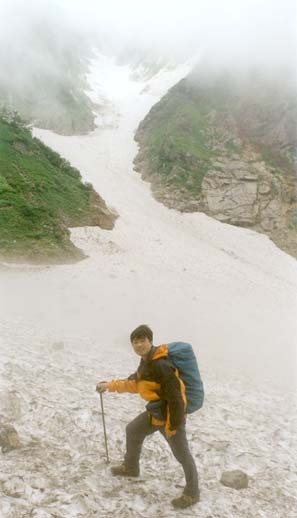 It was a steep and long ice river really deserving energy to trek upwards. That wonderful walk lasted for about two hours. 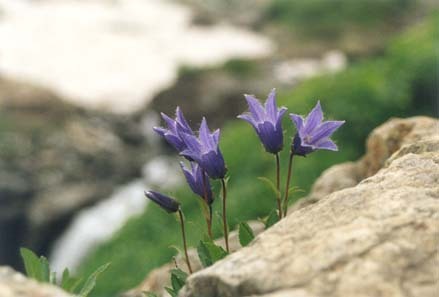 After finishing the Big Ice River, our eyes began to be attracted by the nearby flowers higher up the mountain. Afterwards, we met the Small Ice River - a much shorter ice walk. 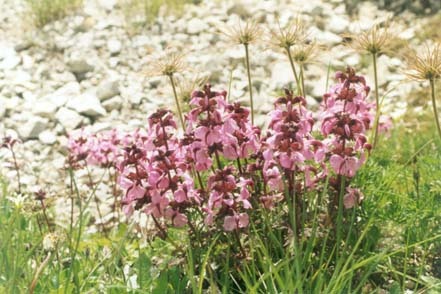 The next exciting event was not any difficult walk, instead it was a show time for a huge variety of beautiful flowers at the altitude of 2000m or above. We were really crazy at catching the beauty of the flowers by killing our films. Please remember, summer is the best season for flowers. We arrived at Hakuba Mountain House at around 4:30pm. Despite that the Hakuba Mountain House was claimed to be the biggest one in Japan, we were deeply impressed by the tiny place assigned for us to sleep. There was a western-style restaurant catering delicious food. The mountain view outside the restaurant was spectacular. On the second day, we got up at around 4am. 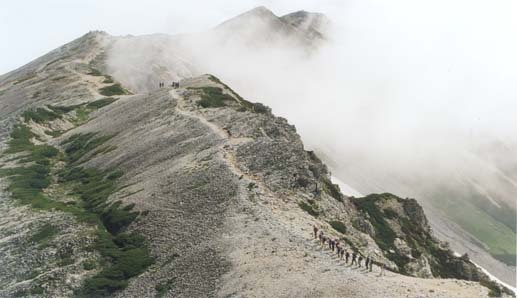 Many japanese people had already went to the summit of the mountain (a 30 minute walk from the Hakuba Mountain House). Like all other people, we got up early in order to see the sunrise. The view was excellent in the early morning when sea clouds were clearly seen. 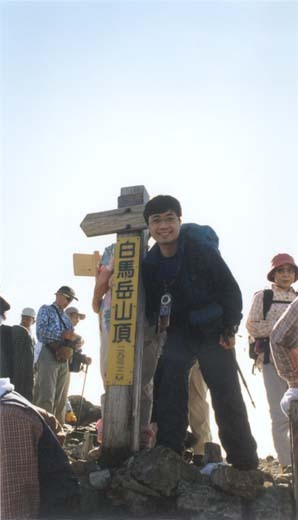 It was actually difficult to take an individual photo at the summit of Hakuba Dake- because too many people were crowded together at that small area. We left the summit and went in the northern direction. Following were other beautiful mountain sceneries kept in our mind. 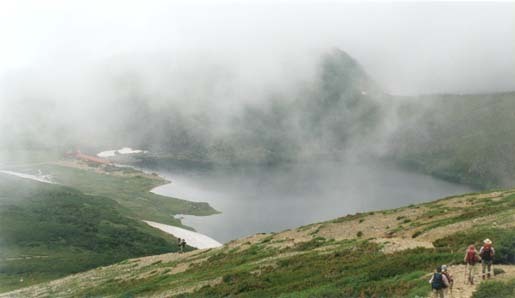 Our legs were a bit tired when we reached Hakuba Lake - a peaceful lake with accommodation facilities and camping ground. We didn't stop at that lake. Instead we took another 2-hours painful trek to the peak tram station. Thanks to the tram, it really saved us a lot of energy and time to get back to the bottom of the mountain. We returned to Happu, soaking the exhausting body into the Onsen (hotspring).